Many remember Molly Murphy's, the heavily themed restaurant on south Meridian that featured waiters in character and a 'salad car' made from a vintage Jaquar automobile. In the early 1980's with a second location in Tulsa and lines out the door, proprietor Bob Tayar decided to try something new: a huge Mexican restaurant with elaborate décor on what was then the outskirts of growing Northwest Oklahoma City. Tayar opened TaMolly's on NW Expressway near Rockwell in March of 1982 in more than 10,000 square feet of expensively construtcted space, including an elaborate tile roof. Even before opening, there were legal squablings between Tayar and the property owner and landlord. TaMolly's lasted only a year and a half before Tayar tried another restaurant concept, Bobby Lee's, which in turn failed after a mere 3 months. Soon thereafter the building became an elaborate night club named City Lites and with the local economy reeling from a depressed oil and gas market, the elaborate tile roof was repossessed and the building ultimately fell back into the hands of Liberty Bank in 1990. In 1992 Johnnie's Charcoal Broiler stepped in and bought the property, opened a new location and made some of the excess space into coroporate headquarters for their growing enterprise. After 25 years, Johnnie's closed at that location on May 31st after selling the entire property to a developer who is planning to build a new, modern Johnnie's on the site while also constructing a Del Taco to the west. Johnnie's had recently moved it's offices to an office park near 15th and Kelly in Edmond. 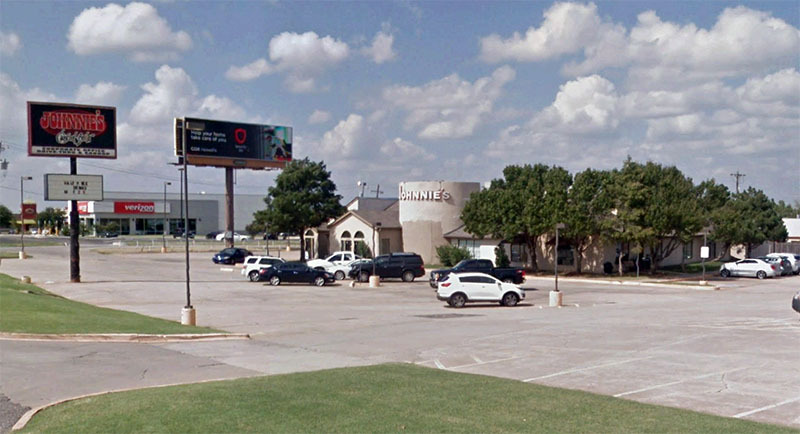 At 1.85 acres there is plenty of room for a new 5,300 square foot Johnnies with a drive-thru and the 7th Oklahoma location for the California fast food restaurant chain that recently entered the market. 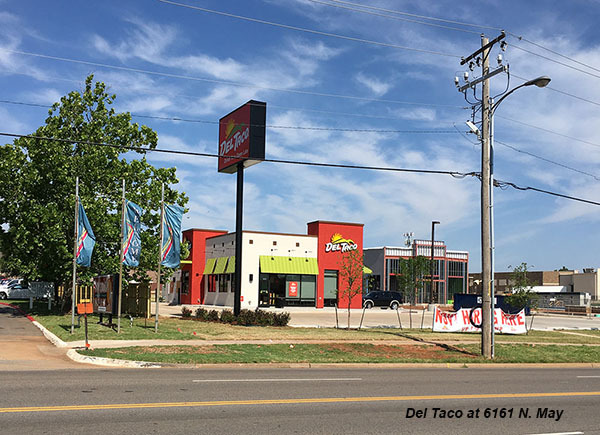 With locations in Norman, Moore, Edmond, Yukon and West Oklahoma City, Del Taco is set to open very soon at 6161 N. May on the site of the former Dot Wo restaurant. Construction is complete and signs at the property indicate staff training is in process. The building at 6629 NW Expressway is being emptied and demolition will soon start, followed closely by the new construction. 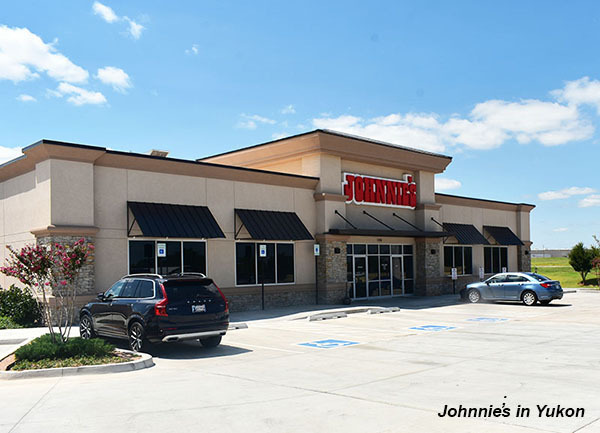 Johnnie's CEO Rick Haynes told OKCTalk the new location will be very similar to the Johnnies just opened in Yukon, with a community meeting room and a drive-thru as well as a large dining area. 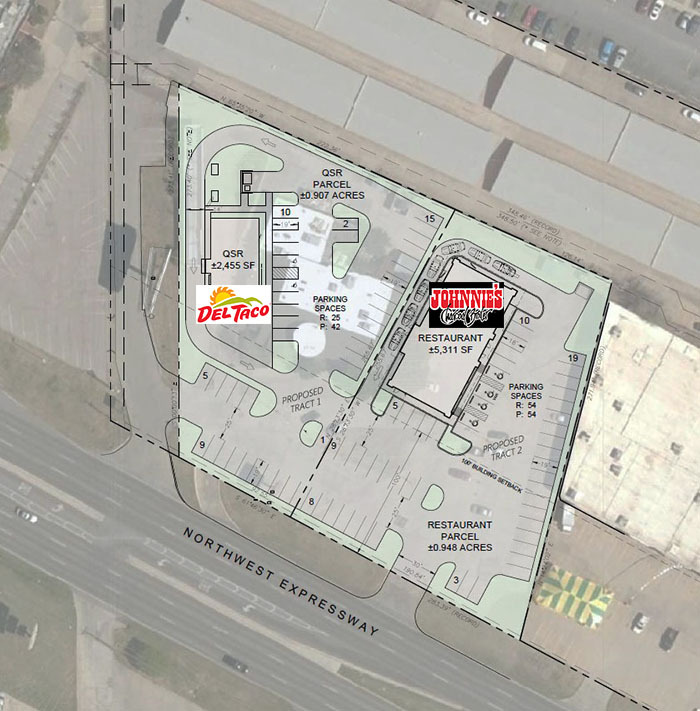 Haynes said they have many loyal customers that have been patronizing the NW Expressway for years and they hope to reopen by the spring of 2019 with a new, improved dining experience. Haynes also mentioned that the old building was far too large for their needs and not built for their specific purpose. The move is part of a larger expansion by Johnnie's, which will open a full restaurant at 2305 S. Telephone Rd. in Moore this July, followed by an Express location (smaller footprint but also serving breakfast) at 6825 SE 29th in Midwest City this fall. Johnnie's Charcoal Broiler dates back to 1971 and their first location on Britton Road. With the addtion of Moore and Midwest City, the company will have 10 restaurants in Central Oklahoma.